Long car journeys can put a strain on even the most harmonious family relationships, but there are ways to avoid the road trip legend “are we there yet?” One of the best is to buy and install an in-car DVD player. The journey will fly by if there is a good portable DVD player on board to keep the children in the back amused with the latest animated blockbuster. 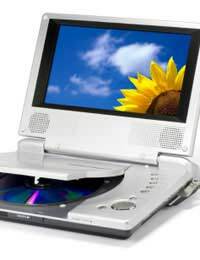 Portable DVD players have tumbled in price in recent years and are now affordable for a lot of parents. It is very straightforward to install most models and they can be easily transferred from the car for use indoors. Most of today’s in-car DVD players will do more than just play DVDs. They can also handle CDs and many come equipped with memory card readers or USB slots that allow files to be played directly. This means there is no need to clutter the car with DVDs. There is plenty to consider when purchasing an in-car DVD system. First decide how many screens are needed and then choose the size of the screens. If there are two children in the back of the car, it may be worth investing in a two-screen system. Screens are typically fitted to the headrests of the front seats, so children are sure to argue about who should get the best view if there is only one screen. Parents with a growing family may want an in-car DVD system that can grow with them by allowing additional screens to be added at a later date. Be aware that one player with multiple screens will only allow the same DVD to be shown on all screens at any given time. With that in mind, if there is a considerable age gap between the children, it may be worth investing in separate in-car DVD players that will allow each of them to watch what they want. Screen sizes are usually between seven and 10 inches and, when checking out reviews, try to find a portable DVD player that has little or no picture and sound break-up while on the move on bumpy roads. Other features worth having include an infra-red transmitter for cordless headphones and a remote control to allow parents to keep tabs on the volume from the front of the car. Ease of use, practicality and price will obviously come into the equation and try to find a player that can be powered by mains, in-car and batteries. Installing a portable in-car DVD system tends to be very straightforward. In most cases, the screens fit into pouches that are strapped to the back of the front seat headrests. Some manufacturers offer more permanent headrest attachments that screens can be clicked into when needed. Either way, it’s not a good idea to leave screens in the car when not in use, as they can tempt thieves. The player itself is often a separate unit and this usually plugs into the power socket or cigarette lighter. Most modern cars have one of these in the back. Then it is simply a case hooking up the screens and, if needed, the headphones to the player.